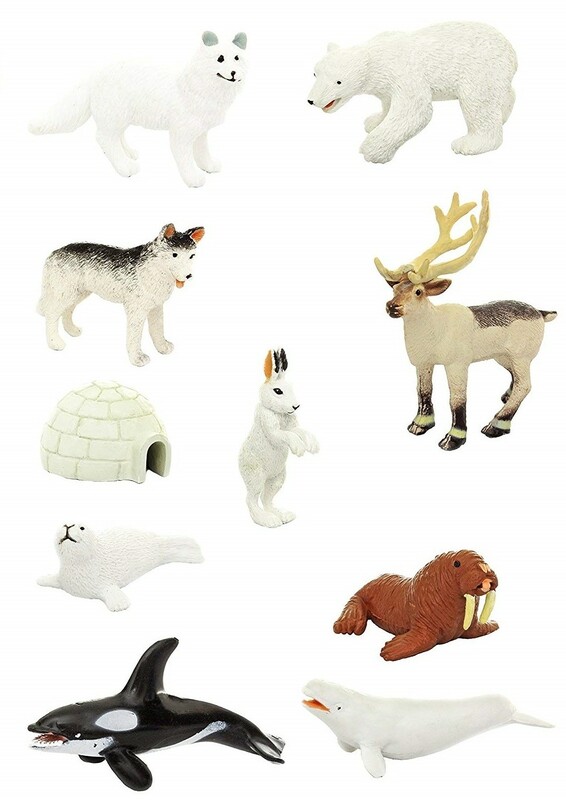 Discover a world of fascinating award winning miniature collectibles with the Arctic Toob! 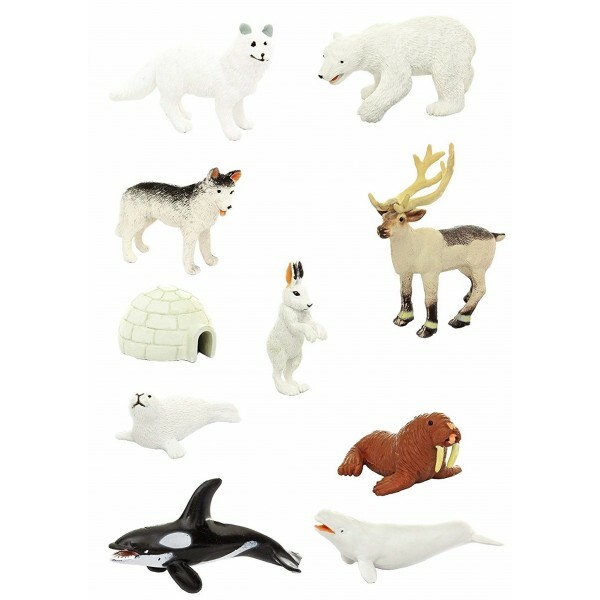 Toob includes: Igloo, Polar Bear, Arctic Rabbit, Arctic Fox, Huskies, Caribou, Harp Seal, Beluga Whale, Walrus, Eskimo and Musher. Each mini figure is carefully sculpted and finely painted by hand to ensure optimum quality for years of learning fun. 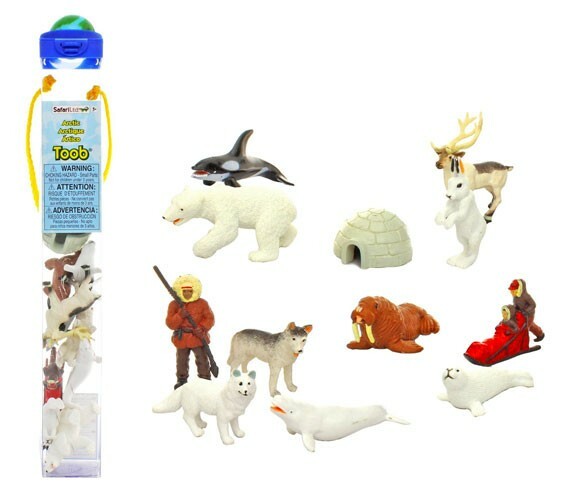 For added play value these collections are packaged in a reusable acetate tube.